information can be found at the AKE’s website: http://AyKaEx.yolasite.com. 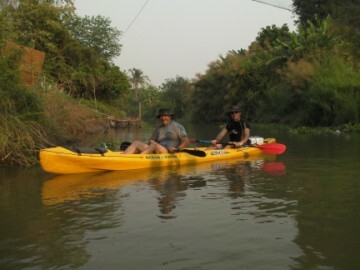 north the old Lopburi River presently called Khlong Hua Ro; in the east - in the ancient Ayodhya area - Khlong Hantra and in the south Khlong Takhian. 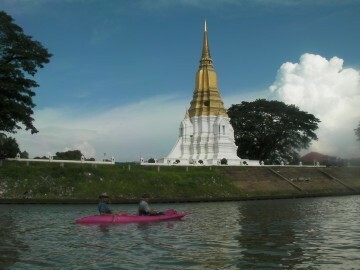 on Points of Interest, Reference Points and the History of Ayutthaya (including downloadable PDF-files on subject) can be also found on this website. 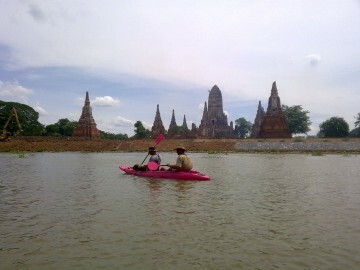 kayak tour begins at “The Seven Seas Riverside Ayutthaya”. to access nature, experience reflective moments and to enjoy family and friends away from the distractions of life. 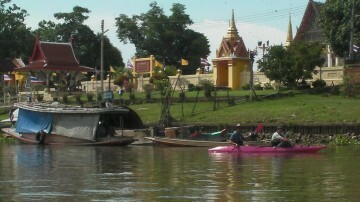 Chao Phraya, the Lopburi or the Pa Sak, there can be heavy current and whirlpools. So be aware and stay close to the river banks. equipment. Any reliance on the site's information is therefore strictly at your own risk (see disclaimer on site). 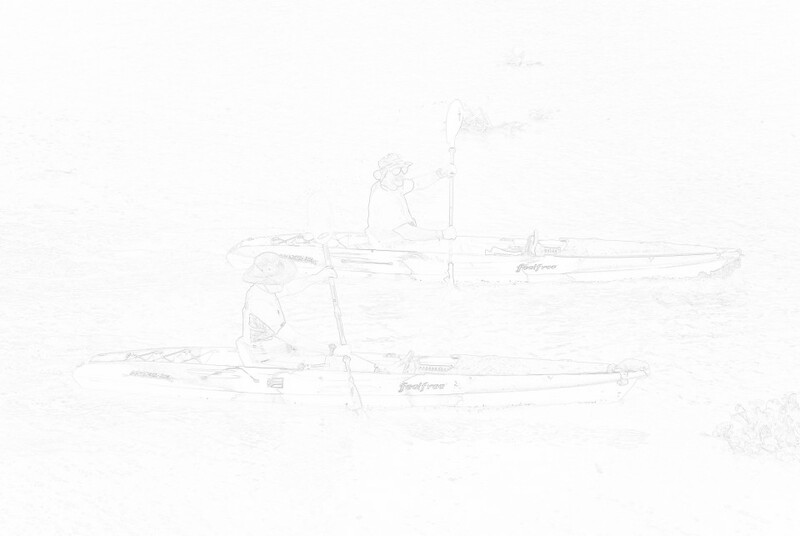 We provide TWO possibilities to print kayak track info. standard print frame set up by RouteYou.com. Second possibility is to download our PDF-file with a map, driving instructions and information on the Points of Interest from the site. The choice is yours. It is all free to download - no charges at all. RouteYou.com provides the possibility to download data on GPS or iPhone. The method to download a route on your GPS depends on your GPS device. found on the site of “RouteYou”: http://www.routeyou.com. 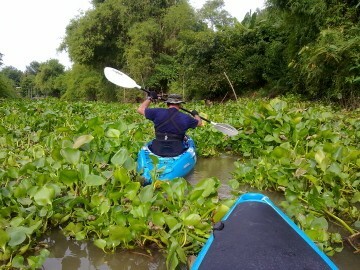 More tracks can be found on the Ayutthaya Kayaking Experience website. 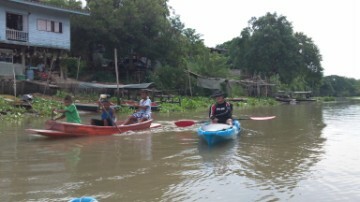 kayaking in Ayutthaya needs to be promoted.